When will be Adrian's Welsh Bites next episode air date? Is Adrian's Welsh Bites renewed or cancelled? Where to countdown Adrian's Welsh Bites air dates? Is Adrian's Welsh Bites worth watching? Adrian Masters dines with some of the most famous faces in Wales, getting to know the people behind the headlines. Adrian Masters is joined in the kitchen by Olympic legend Colin Jackson who talks his roots, eating disorders and adjusting to life after athletics. 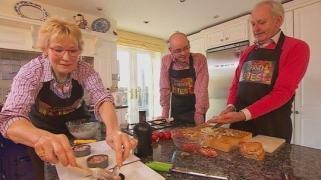 In this episode, TV weather presenter Sian Lloyd cooks up a storm in the kitchen of her mid-Wales home, giving a rare insight into her life away from the spotlight. Wales' most decorated athlete Baroness Tanni Grey Thompson, moves from the track to the spice rack and talks about her life in both sport and politics. Adrian Masters dines with some of the most famous faces in Wales, getting to know the people behind the personas. Army veteran and motivational speaker Simon Weston shares a quiche and a chat with Adrian. 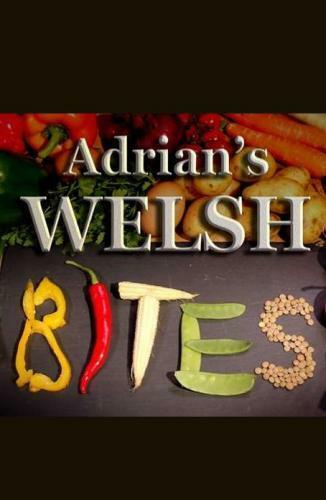 Adrian's Welsh Bites next episode air date provides TVMaze for you. EpisoDate.com is your TV show guide to Countdown Adrian's Welsh Bites Episode Air Dates and to stay in touch with Adrian's Welsh Bites next episode Air Date and your others favorite TV Shows. Add the shows you like to a "Watchlist" and let the site take it from there.